It’s true, the holiday season is officially behind us. I know, I don’t like it anymore than you do but the show must go on. It seems like everything after November just kind of flew by. The worst part is that now I can’t pig put on all of my favorite desserts morning, noon and night. C’est la vie. We are still getting to enjoy the crisp winter weather though and it was easy to slip into lots of cozy layers to stay warm. I recently popped in to Forever 21 and I went a little crazy – I almost forgot how amazing their prices are! I got this coat for $30! 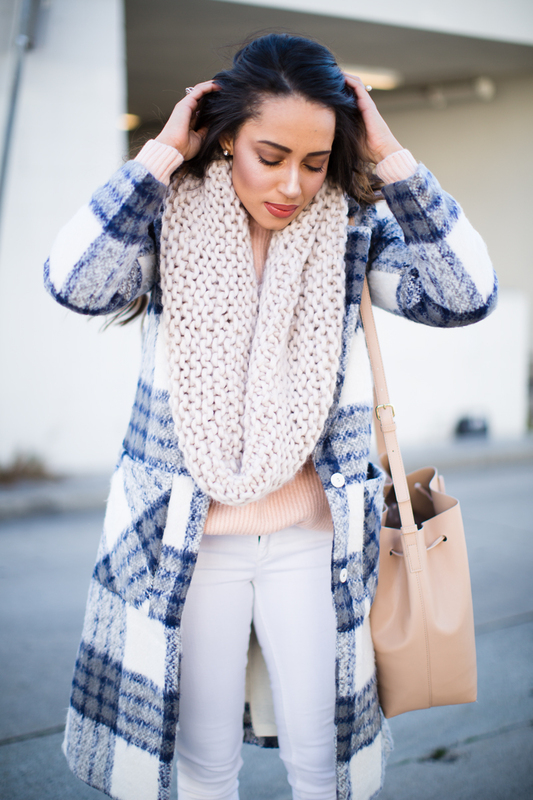 I styled it with a light and bright color palette pairing pink, blue and white.